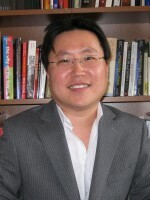 Baylor>Robbins College of Health and Human Sciences>Faculty & Staff>Faculty Directory>Jay Yoo, Ph.D.
My courses are designed to provoke students' interest and appeal to students from a variety of backgrounds. Although fashion is often understood to center on apparel choices, fashion impacts nearly every aspect of human lives. This prospect provided the opportunity to incorporate variety topics of inquiry in class. These topics include: Fashion and health, social responsibility and environmental issues involving consumptive behaviors. Students are exposed to up-to-date findings that are critical and timely in the field. My research revolves around the appearance-related behaviors and its implication to the individual and social well-being from consumer perspectives. I conduct research in a number of areas including, body-tanning behaviors and how one's clothing, along with personality, weight, and ethnic differences impact on experience with appearance-related teasing and bullying, adolescents' risk perception of using appearance related products and body alterations. Serious quality-of-life concerns occur when satisfaction of appearance is compounded by behaviors that may have long-term consequences. Yoo, J., Divita, L. R., & Kim, H. Y. (2013). Environmental awareness on bamboo product purchase intention: do consumption values impact green consumption? International Journal of Fashion Design, Technology and Education, 6(1), 27-34. Yoo, J., & Lee, J. (2013). Exploring peer influence on adolescent boys' grooming product use and risk-perception. Journal of ARAHE, 20(2), 76-83. Yoo, J. (2013). Sunless tanning product adoption: The influence of appearance schema. Household and Personal Care Today, 8(2), 26-28. Yoo, J., & Kim, H. (2012). Perceived risk of sunless tanning product use and its relationship to body satisfaction. International Journal of Marketing Studies, 4(4), 13-21. Hur, W., Yoo, J., & Chung, T. (2012). The consumption values and consumer innovativeness on convergence products. Industrial Management & Data Systems, 112(5), 688-706. Yoo, J., & Kim, H. (2012). Adolescents' body-tanning behaviours: Influences of gender, body mass index, sociocultural attitudes towards appearance and body satisfaction. International Journal of Consumer Studies, 36(2), 360-366. Yoo, J., Jacob, J., & Baier, M. (2012). Adolescent boys' grooming product use and perceived health risks: An exploration of parental influence. Health Education Journal, 71(3), 299-308.